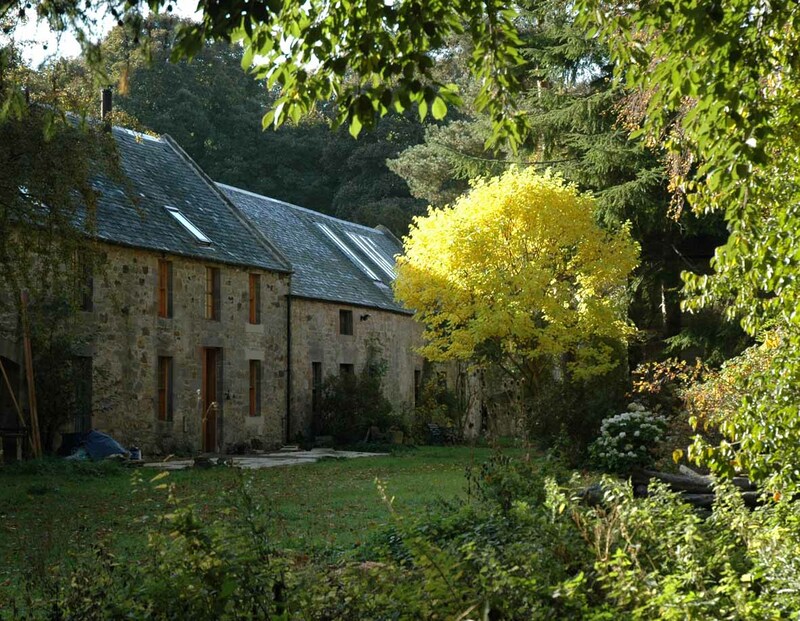 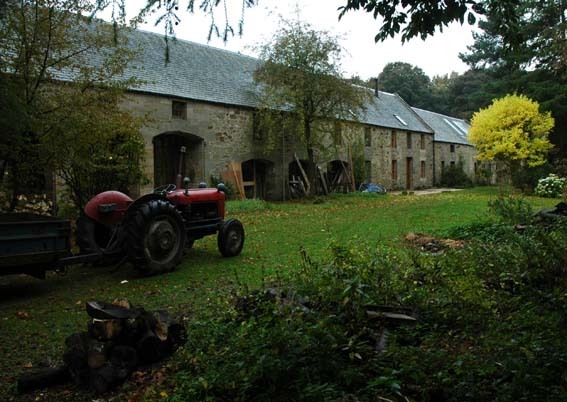 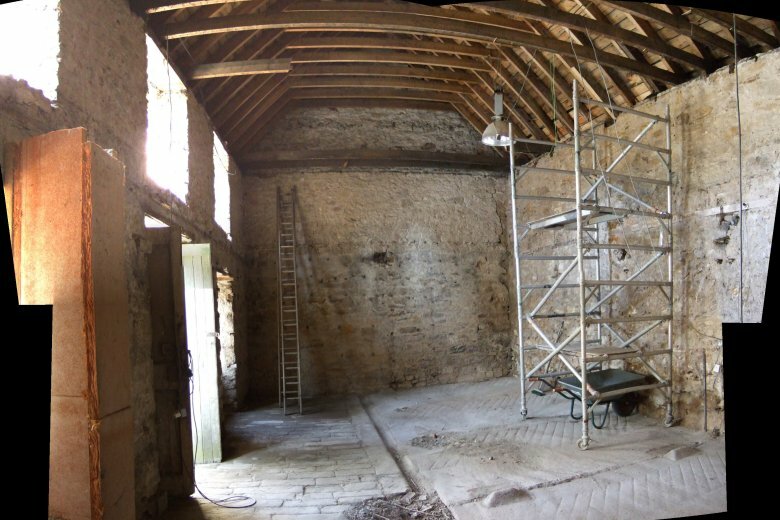 The building is part of a farm steading in the well wooded policies of Ormiston Hall, located 2km South of Ormiston. 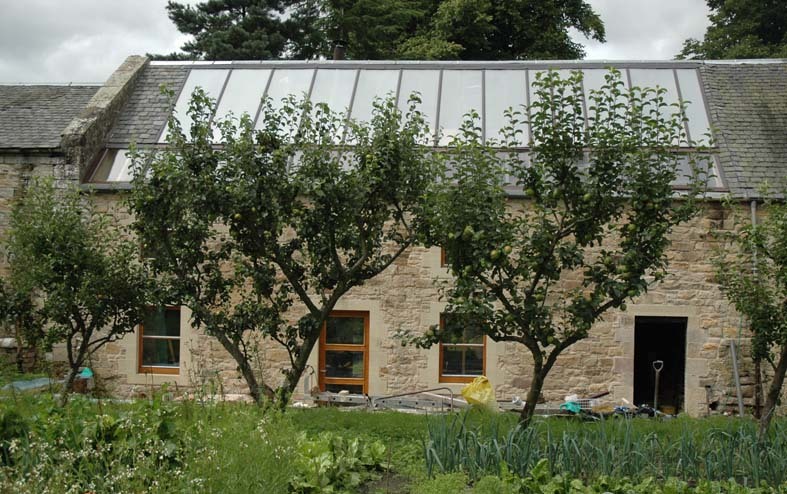 The North wall of the house forms part of the south facing enclosing wall of the walled garden. 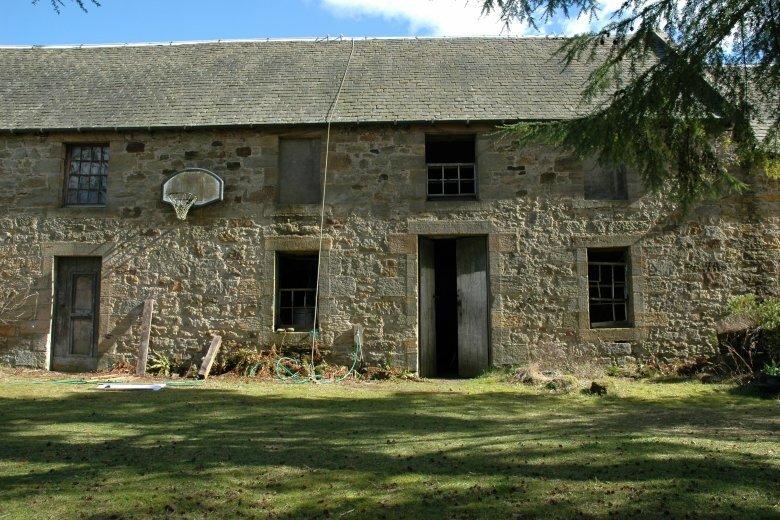 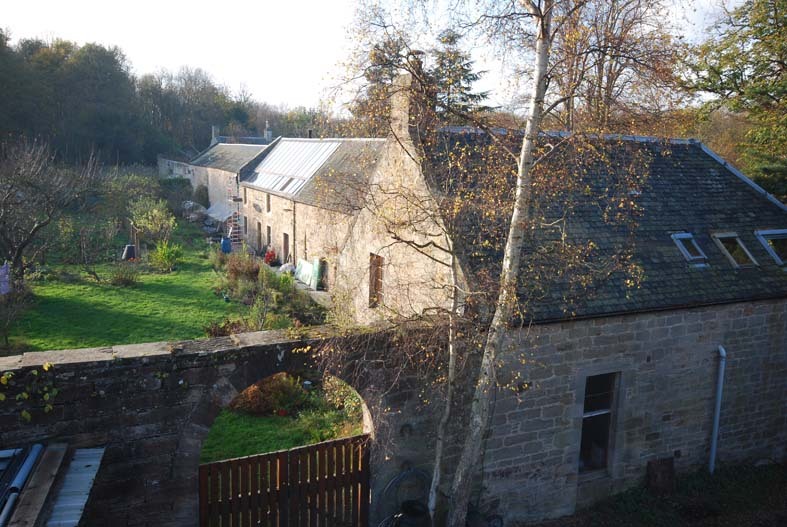 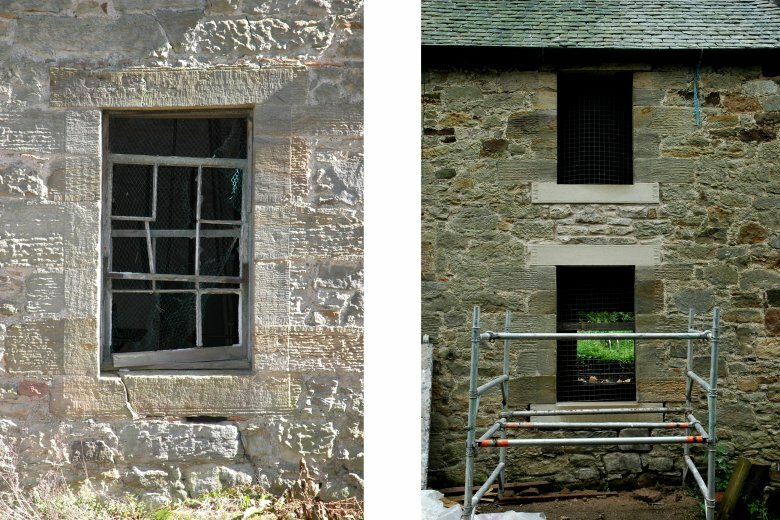 Loft House is listed as part of the group of buildings including the Steading, Ormiston Hall and Ormiston Old Hall. 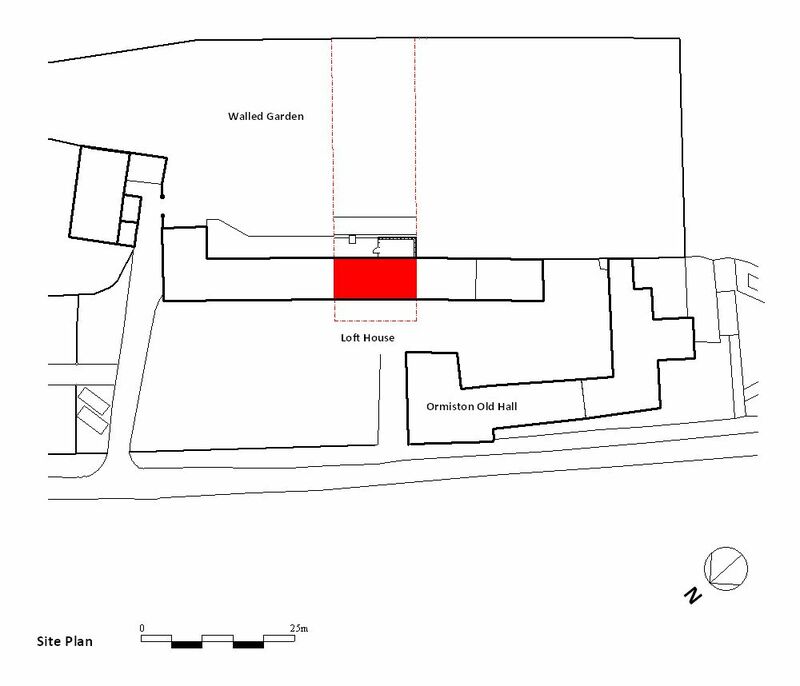 The former Stable is part of a 11/2 storey Terrace whose ridge runs NW-SE. 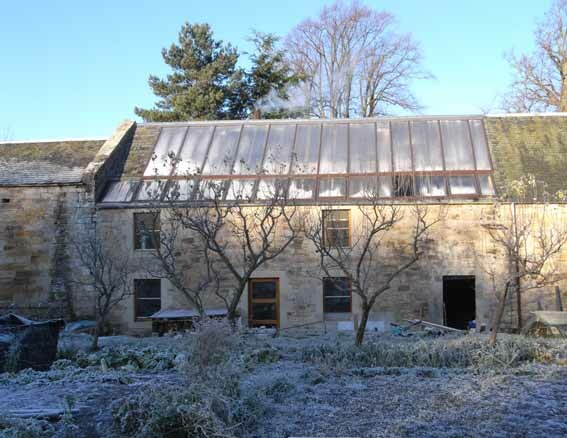 The roof slope, which overlooks the Walled Garden, faces SE and is exposed to sunlight throughout the year. 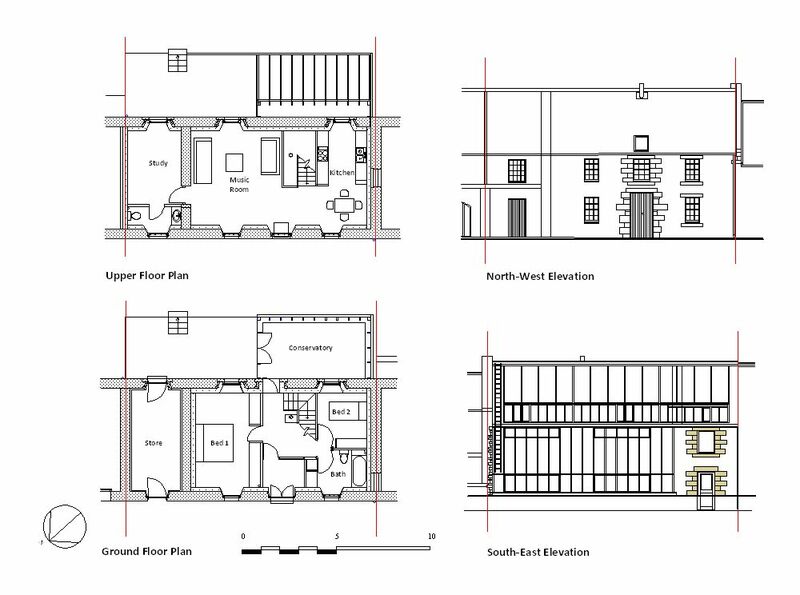 The house area is limited with a central door, thus it was decided to retain a central staircase but to place bedrooms on either side on the Ground Floor to create open plan living, dining and kitchen areas on the first floor, to maximise their views and exposure to the sun. 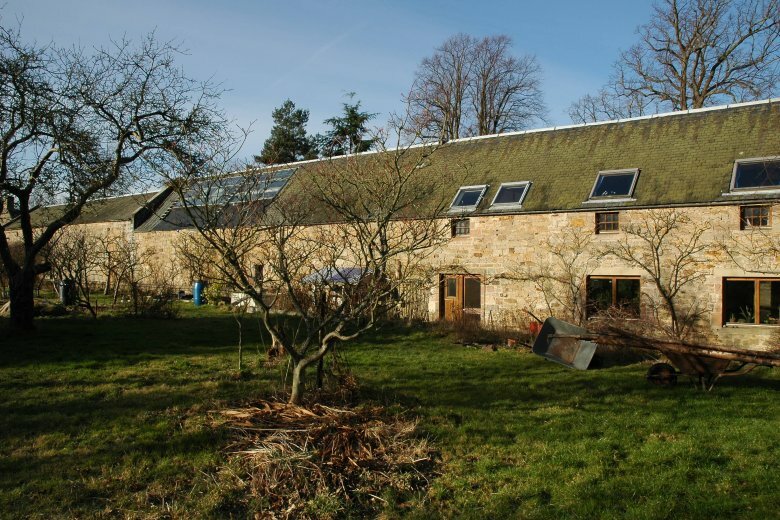 This was a self build project, possible only due to the high level of skill and organisational ability of Ulrich and Francesca. 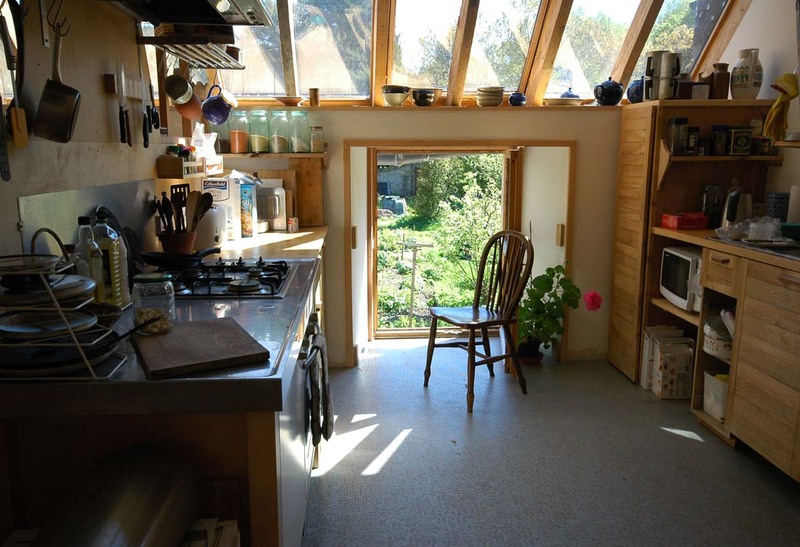 The maximum amount of insulation possible in the limited space was used. 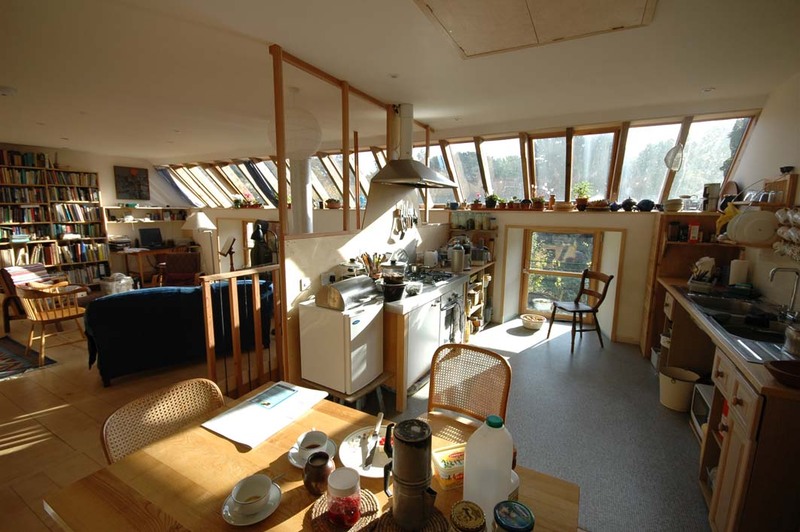 The warm air solar heating system makes use of the entire Attic as a heat gathering plenum. 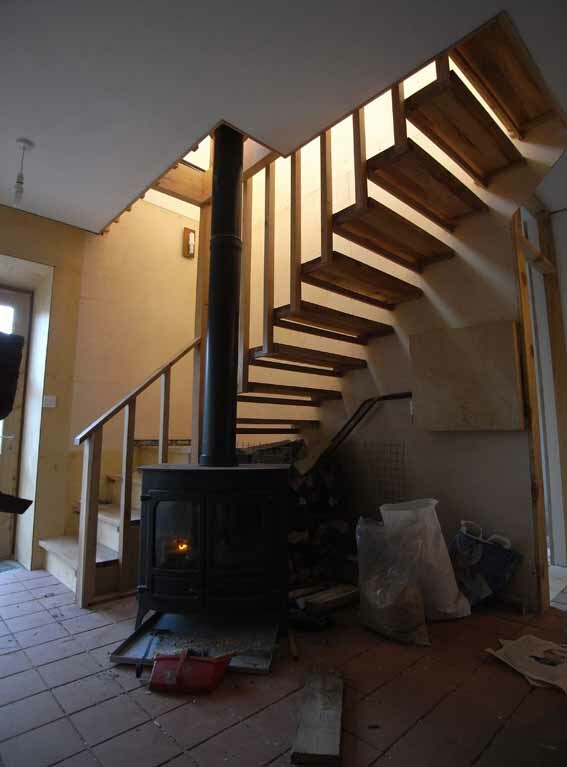 Warm air controls are linked with controls for the wood fired stove which runs the solid Ground Floor underfloor heating. 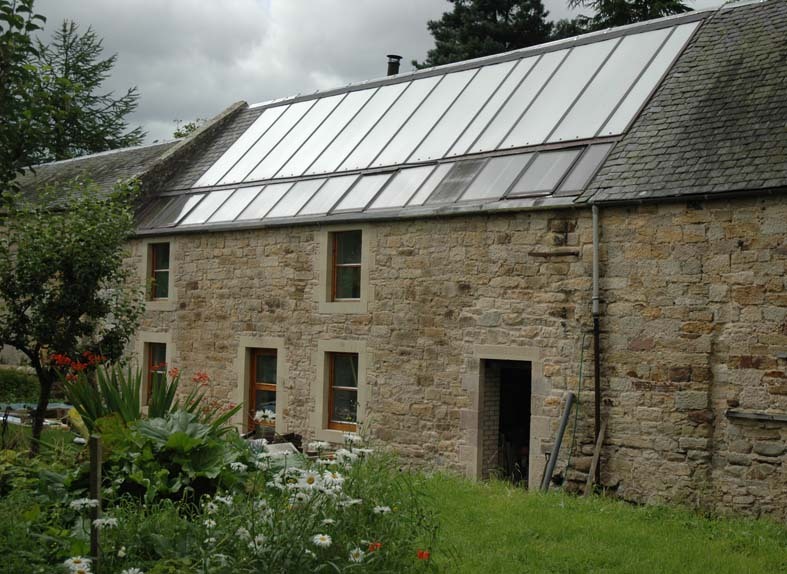 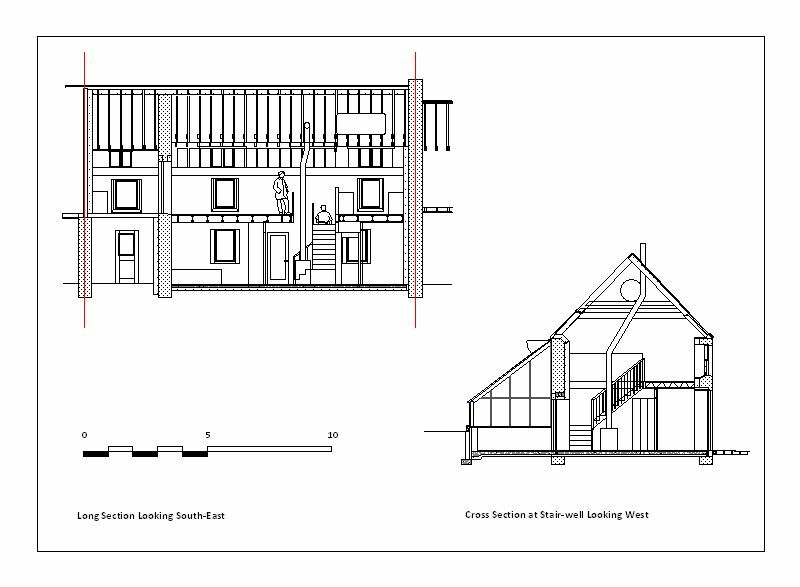 The house is intended to demonstrate the use of warm air solar heating in Scotland.